Little Wing Tribe is a thoughtfully curated lifestyle shop for hip kids. It was founded upon the idea that every mother, regardless of budget, should be able to find something they love for their child in one easy online shop. Little Wing Tribe allows customers to browse a variety of categories of items, from clothes, accessories, toys, and decor all produced by a select group of quality brands. 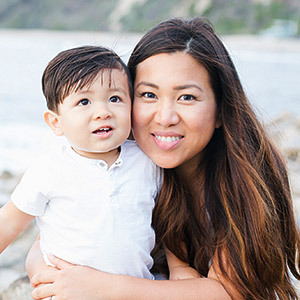 With brands from all over the world and from well known to startup, Little Wing Tribe wanted to provide a simple but rewarding experience for people who are looking to get a great product for a great kid. Never before could you checkout from one place with one payment and buy all of these trendy and quality products in one place. We Design LA was tasked with executing everything from concept to completion. Little Wing Tribe understood the opportunity and had the full vision of what they needed, as well as having the existing relationships with brands, but they needed a creative digital partner who could help fully realize this dream into reality. We knew we had to create a brand and online experience that not only complimented the products and brands sold on the site, but also provide a visual identity that would stand out from all of the other online stores and sites like Etsy.com, Ebay.com, and so on. We Design LA ultimately delivered the full package that Little Wing Tribe needed. From a hip logo that instantly sets the brand identity of the company and the products it sells, to the website that is clean, responsive and fluid. 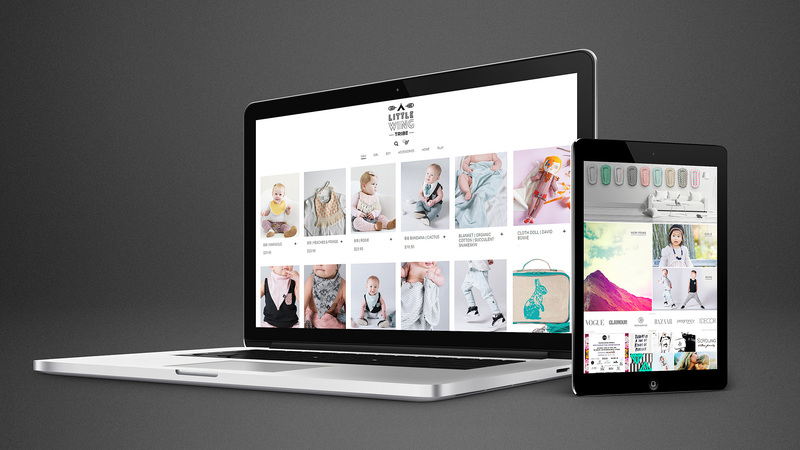 The e-commerce website is state of the art, with multiple brands, products and variations, all done in a creative way. A quick and easy checkout allows the customer to checkout with one order / payment from multiple sellers. We Design LA also helped with the marketing documents, social media content and a highly targeted display advertising campaign. Even though the project was just launched, the response to Little Wing Tribe and their website so far has been amazing. The brand identity really resonates with brands and mother alike. Little Wing Tribe has received a lot of positive feedback, press, and most important orders. Their team has had a lot of ease with updating the site, managing orders, and adding content. We value creating websites that function as well as they look, and give the businesses who run them the competitive edge they need to grow and scale their company. I love everything that my team did! To use the team I entrust to work for my clients on my own personal project was a whole different experience. I got to see and feel what the clients sees and what they experience. That made me appreciate my staff so much more! They did a wonderful job and I’m thrilled with how it turned out! I wouldn’t change a thing about my experience and I hope that others love the website as much as we do.